Phil Langley has accepted a position leading the HARMAN Professional Solutions North America Enterprise Channel Sales team. Phil will report to Kevin Morrison, SVP, Enterprise Strategic Business Unit (SBU). Kevin Bowyer, VP, Corporate/Education/Government Customer Solutions Unit (CSU), Jaime Albors, VP, Large Venues CSU, and Dave McKinney, VP, Hospitality CSU will continue reporting to Kevin Morrison leading their respective CSUs. This key leadership position will manage the North America Channel Sales team and independent manufacturer sales representatives focused in all three CSUs, selling the HARMAN Enterprise solution set. This unified channel management strategy will allow the three CSU leaders and teams to focus on developing new business and growing our market share. Reporting to Langley will be the Enterprise regional sales leaders in North America: Scott Dhaenens, Western Region and Blake Jackson, Central Region. Langley will also continue to lead the East Region in addition to his Enterprise Channel Sales leadership role. 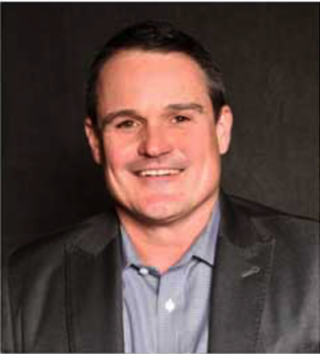 Langley recently joined HARMAN in October of 2015, with over 20 years of sales and leadership experience with Bose, AMX Australia and most recently Telstra.